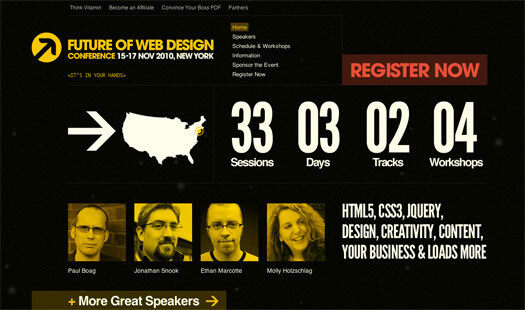 I will be speaking at Future of Web Design (FOWD) conference in New York City upcoming November 15 – 17, 2010. This will be my second time speaking at FOWD. I’ve been attending FOWD in the past several years and they get better and better. So, I’m very excited to have this opportunity to speak at the conference again. I have a free conference ticket to giveaway, head over to Web Designer Wall for your chance to win a free ticket. Will you be giving away any free tickets this year? I hope so I will keep a look out.